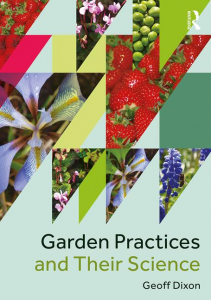 Internationally respected horticulturalist and microbiologist, Professor Geoff Dixon will launch his new book, Garden Practices and Their Science, at Castle Gardens on Thursday 28 March. Discussing seasonal gardening practices and how to look after the environment along the way, Geoff will also talk about his career highlights, including working at the National Institute of Agricultural Botany in Cambridge, the Colleges of Agriculture at both the University of Aberdeen and the University of Strathclyde and his most recent appointment in the School of Agriculture at the University of Reading. Taking place in The Butterfly House from 2:30pm, this free event will give you a rare opportunity to learn more about practical gardening and the science behind your efforts in the garden, while revealing how to develop healthy soil by understanding the biological reactions of plants. You can reserve tickets at Winstone’s Books on Cheap Street and at Castle Gardens.